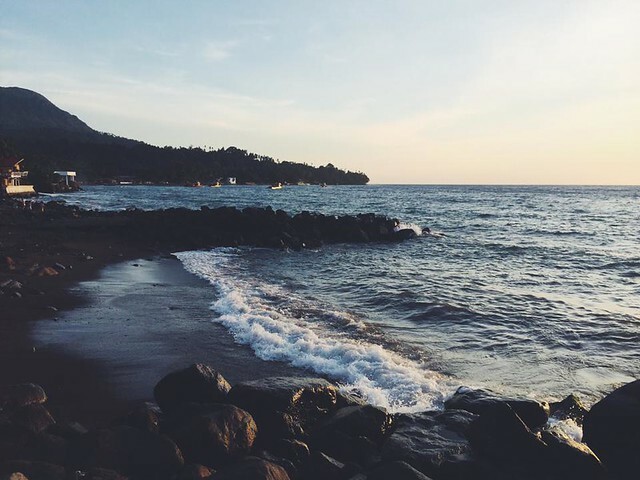 To be precise, our itinerary took us to the island of Camiguin, the city of Cagayan de Oro and the farther reaches of Bukidnon. Call it a daytrip, but it was the perfect weekend break for all of us. Most of the photos by my sister, Celine. CAMIGUIN "island born of fire"
We landed in CDO a a little early at 9am with PAL, meeting up with my brother there. After a long ride in a van to Misamis Oriental, we rode a ferry from Balingoan Port to the island. There's a fast craft from Macalaban, also in CDO, but we weren't really in a hurry (plus it saved us a lot, money wise). From the port, there were several multicab drivers offering us a ride to our hotel. Our driver in particular offered to be our unofficial tour guide for the two days for a competitive price, so we agreed. We stayed at Casa Roca Inn, approximately 1 hour by multicab from the port. It's a small but lovely place, with a gorgeous view overlooking the sea. We almost never wanted to leave our hotel! 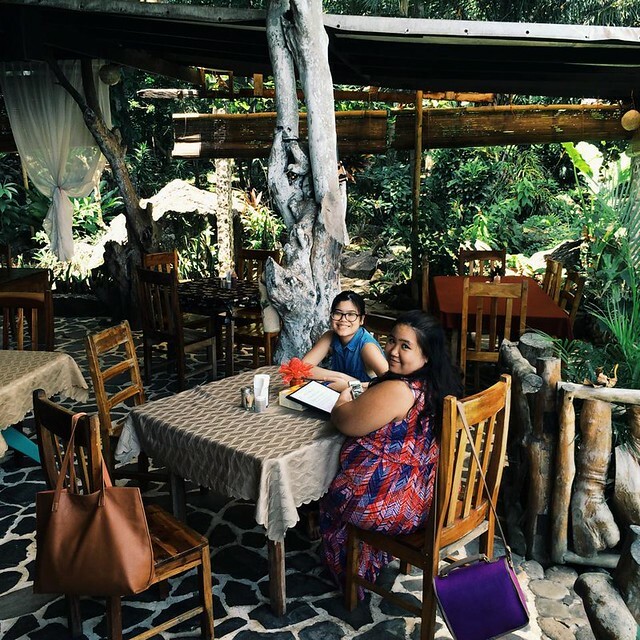 Lulled by amazing food and a lovely sea breeze, we almost didn't mind not having signal--wifi was more than enough for us! One of my new favorite places in the world, White Island! 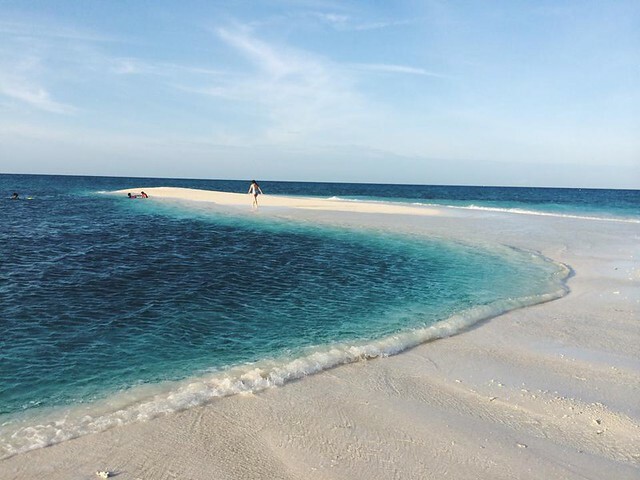 It's basically a sandbar in the middle of the open sea. We came in the afternoon, around 3pm so the waves were kind of (an understatement) rough. But the sea was too gorgeous not to swim in, so into the waves we went! There are tables and umbrellas you can rent there for a small fee, which is not bad. 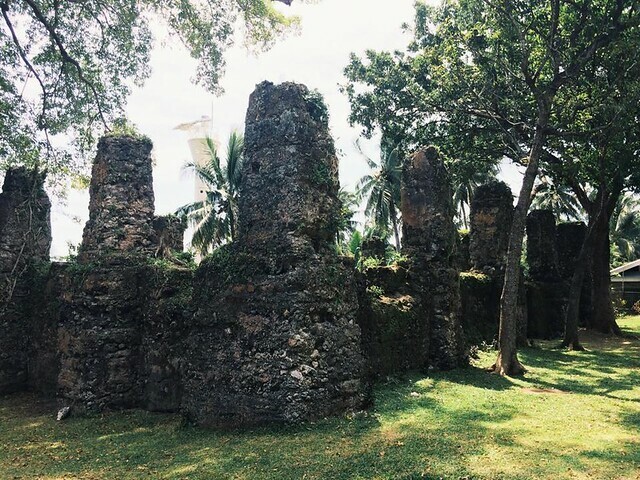 Views from the old church ruins in Camiguin. There was a group of young girls offering to take pictures of us and telling us all kinds of information about the ruins. While slightly off-putting, the girls were kind and informative. They also took pretty amazing pictures--you can tell that Camiguin is used to tourists. 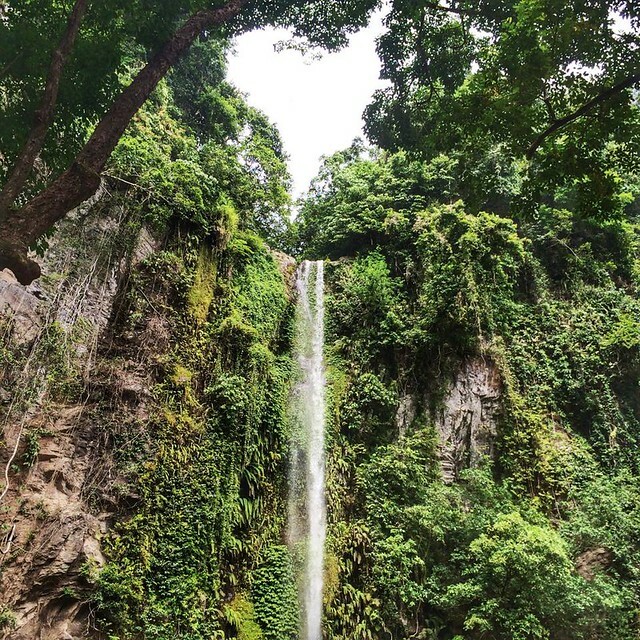 Katibawasan Falls was our final stop on the island. From far away, you can feel the air get a little cooler, which is fantastic. The water from the falls is cold and clear, and nothing beats floating on the water and looking up at the falls. Paradise, thy name is Camiguin. That's not what the name really means, although it made a lot of sense. After Camiguin, we stayed a bit in Cagayan de Oro (Missy Bon Bon was a highlight) before driving to Bukidnon in the wee hours before our flight home. We don't recommend it, because there was so much we still wanted to do! 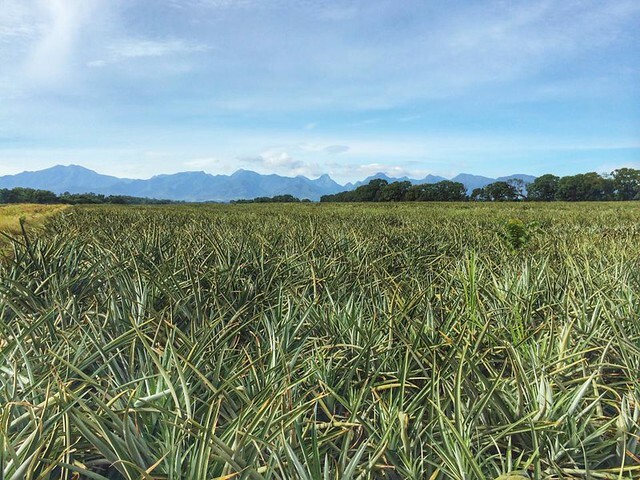 Del Monte Pineapple fields in Camp Philips. These are massive and huge, especially compared to the ones in Tagaytay! Our driver pulled over the side of the road to take pictures of us with these gorgeous fruits. That, with the mountains in the background, made for a gorgeous scene to drive by. Driving on, there were bell pepper plants, corn fields, cassava and even flower patches as we made our way up! 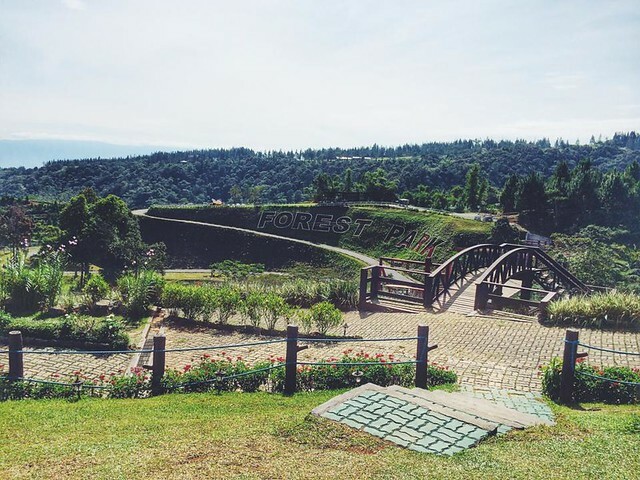 Forest View Park in Dahilayan, Bukidnon. Imagine Baguio and Tagaytay combined into one beautiful place. I would have loved to stay overnight here, and can only imagine how cold it can get in December! Plus there were so many things to do--ziplines, zorb balls, ATV. We managed to get in two rounds of the louge, but missed the mini-golf (much to my dismay). They even had a few golden retrievers int he property, which just made my day! I can't wait to go back and revisit some of these places.